Factory mounts are often filled with open space and voids to allow for movemement. While this sounds great in practice to providing a smoother over-all ride in factory spec, once you start applying extra power and boost all that extra space and play ends up causing you power losses and flex throughout your drive train. 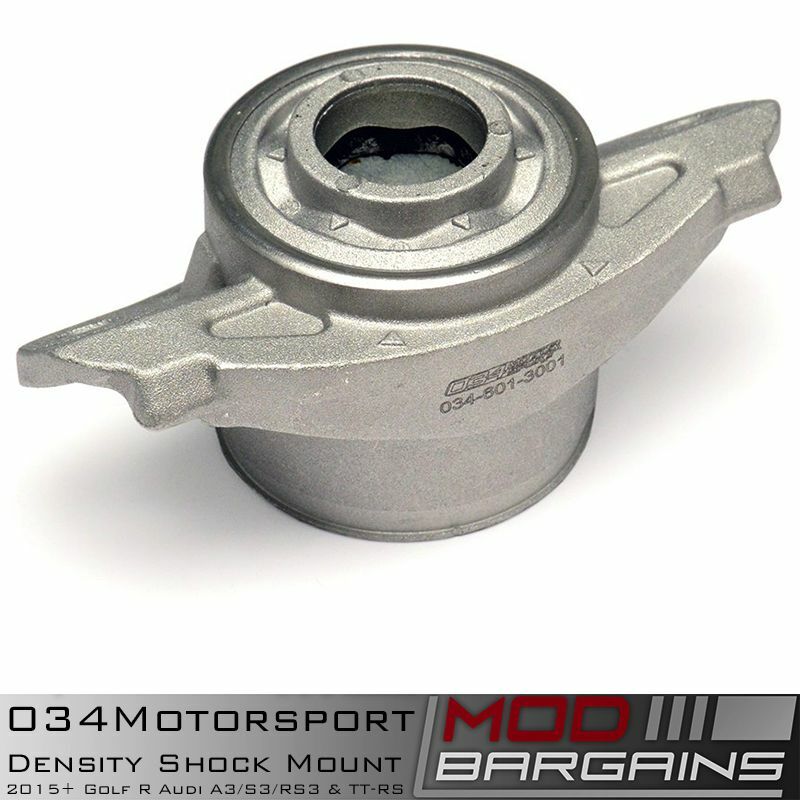 034Motorsports billet mount inserts fill the existing voids in your mounts to provide a firm mounting position. 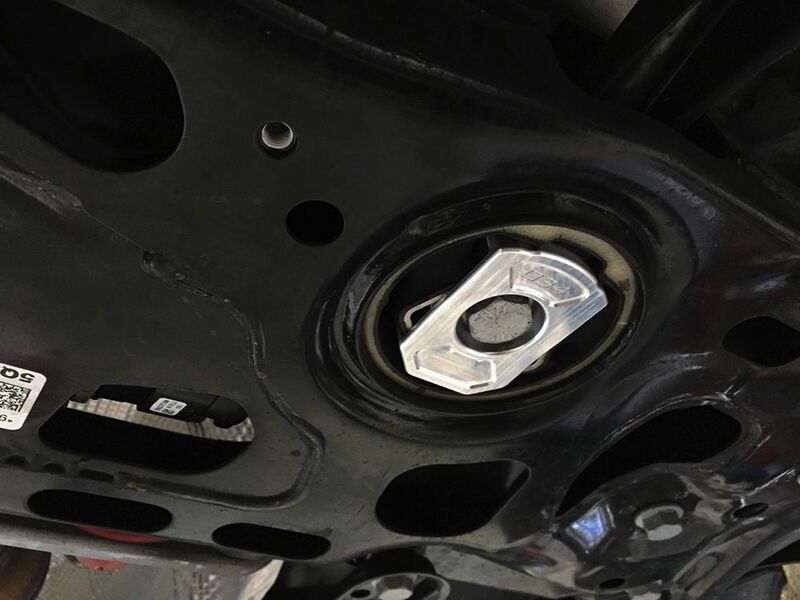 This assures the power your car is making is actualy being put down to the ground, reducing wheel hop and providing a more engaing experiece between vehicle and driver. 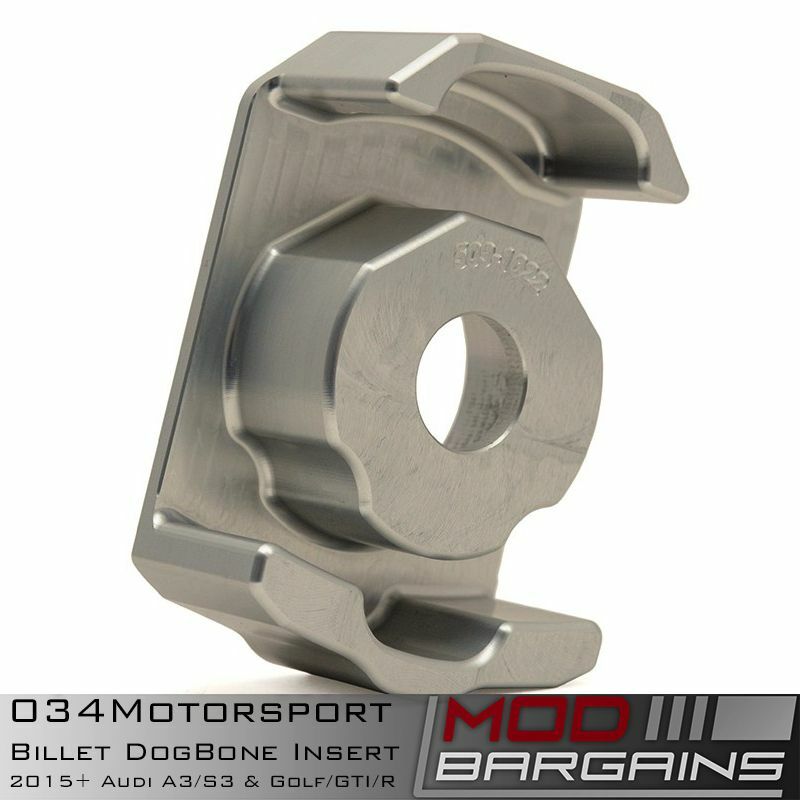 Unlike polyurethane insert options, these aluminum billet mounts will not wear out over time providing you with long-lasting performance for the life of your vehicle. 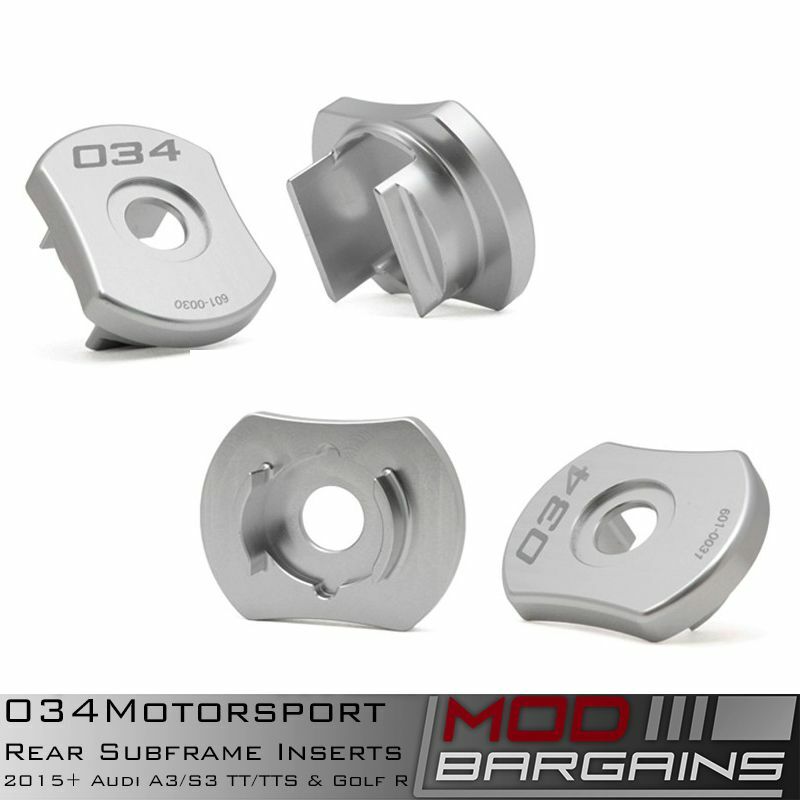 Experience crisper shifts and a more direct feel with 034Motorsport's dogbone mount inserts. 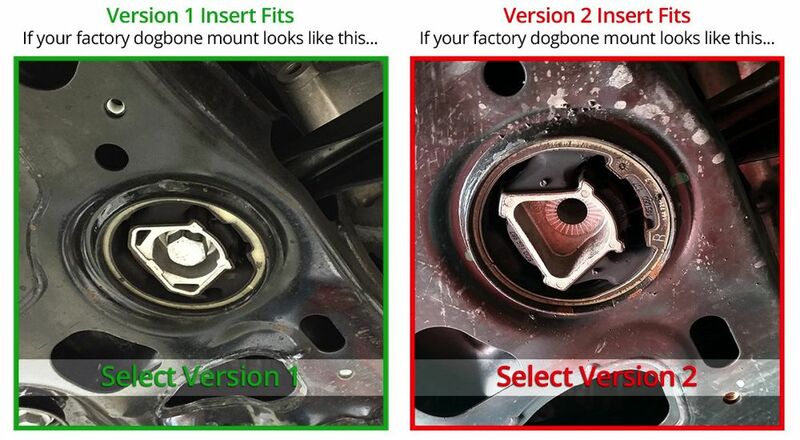 Please note there are 2 versions of this torque mount used on various Audi and VW vehicles. Please check the photos below.